The beginning of a new year is a great time to refresh your office to overcome the post Christmas lull and January blues. What better way to inject some new energy into an office that to give it a re-vamp? 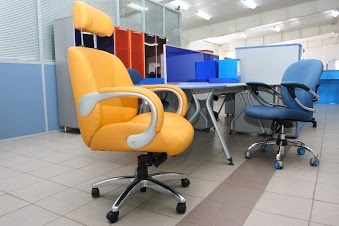 When you make the effort to improve the look of your workplace, it can have a dramatic impact on the morale of your employees. It sends a clear message that this is a new start, and it encourages the members of your team to take a fresh look at what they are doing too. Everyone gets sets in their ways from time to time - its human nature. This can lead to bad habits and negative thinking. By creating a new, fresh and professional looking environment, it can encourage staff to re-appraise how they work and to make positive changes. An new office fit-out will have a positive impact on productivity too, which you can also encourage through a better workplace design. A proper office fit-out will commence with a comprehensive space planning review, which can identify how your workplace is used and the layout then planned accordingly. A space planning review can iron out problems such as desks being too close together, people sitting too far away from service areas, desks too close to noisy service areas where peace and quiet is more appropriate. A new office fit-out with a refreshed layout, appearance and furnishings will not only boost morale but will also send out a positive message to your workforce at a time when you want everyone to forge ahead to achieve the businesses goals and improve end of year results. Most workplaces are visited by people that need to be impressed! Whether its a client, potential customer, supplier, business partner or prospective employee. Even if you very rarely have visitors to your workplace, on those odd occasions that you do, don't let the first impression of your business let your down. The last few years have been tough for many businesses and downsizing has been essential to stay afloat. Conversely, some businesses have boomed during the recession whilst some are constantly having to up-scale or downsize to meet current market demand. Whether you intend to hire some new team members, add new departments or reduce your workforce, an office fit-out can be created which is flexible enough to cope with change. Make 2014 the year that you create the workplace you need. With over 20 years experience in office refits, you can trust us to provide a professional, reliable and high quality service. Contact us now to find out how we can help you.